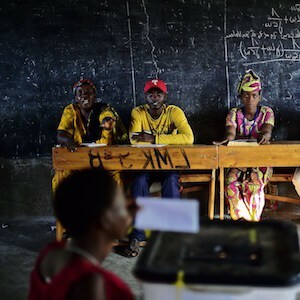 Currently, democracy in much of Africa is constrained from delivering on its development potential for three reasons. First, governance capacity is lacking. Second, the quality of electoral democracy is thin. Finally, neopatrimonialism undermines electoral democracy in Africa. A forecast to 2070 quantiﬁes the contribution that different levels of democracy would have on Africa’s economic and human development under two scenarios: a democratic regression and a positive wave of democracy. As countries climb the income ladder and become more socially and economically complex, democracy steadily contributes to good governance, development and growth. This only happens if the key components of electoral democracy are realised. About the author: Dr Jakkie Cilliers is the chairman of the Board of Trustees of the Institute for Security Studies (ISS) and head of African Futures and Innovation at the Pretoria ofﬁce of the ISS.